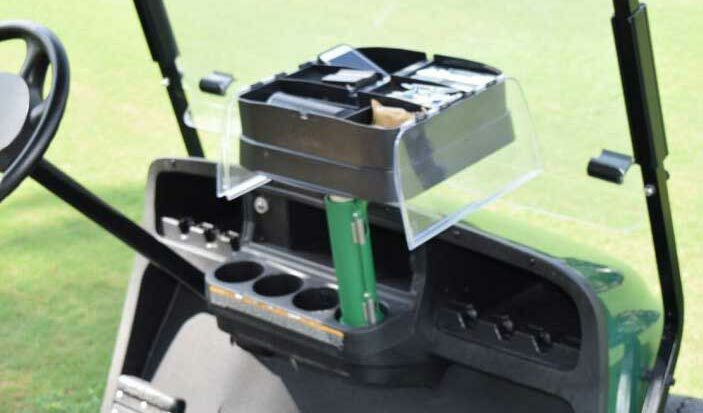 Made of high strength, durable ABS plastic, Dash Caddie is a portable organizer and storage solution designed for golf carts and boats. With Dash Caddie, your things are accessible, secure and organized. 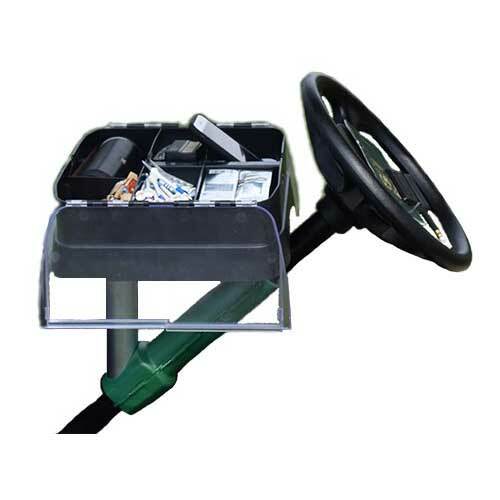 Steering Column – Easy to use clamp is used to attach to the steering column of your golf cart. Cup Holders – Portable mounting hardware is easily assembled. Great for rental carts and public courses. 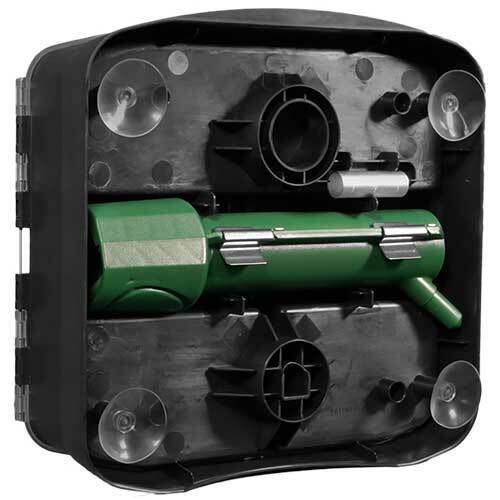 Suction Cups – Four high-strength suction cups allow for easy and secure mounting on flat surfaces, like your boat, RV or tractor. 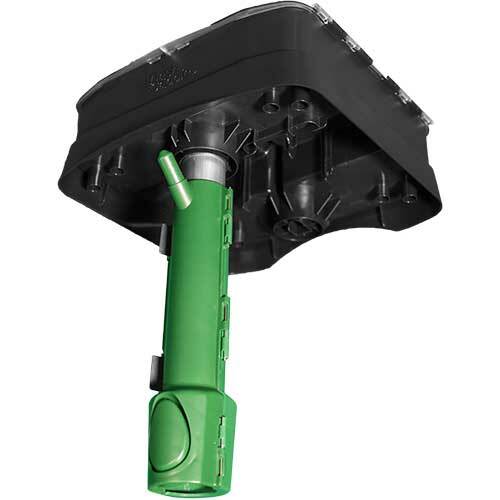 Dash Caddie is easy to remove and disassemble so you can carry it with you.